Waking up in the night is a pain. Whether it’s because you’re anxious, need the use the convenience or have simply had a nightmare, it disrupts your sleep hugely. And once you’ve woken up, it can be surprisingly difficult to get back to sleep. But why are you really waking up? It turns out that there are various things you can do to reduce your chances of waking from your slumber in the middle of the night. Eczema sufferers often find their skin becomes very itchy at night, and this can often make it difficult to sleep. Consult a skin specialist who will be able to give you medication to treat the problem. It’s normal during pregnancy for women to feel the need to urinate during the night, but if you’re not pregnant and this happens to you a lot, you may have Nocturia. For most people, urine production should be low at night. Avoid drinking too much in the evening, particularly, diuretics like tea and coffee. You may think a couple of glasses of wine will help you sleep, but it can often lead to disrupted sleep in the night. Try and stop drinking a while before bed to give your body time to metabolise the alcohol first. Sleeping in a room that has the wrong temperature can make it harder for you to sleep and stay asleep. The room temperature for proper sleep is between 18 and 21 degrees Celsius. If you’re stressed out and it’s disrupting your sleep, make sure to find time to unwind and de-stress before bed. Listen to relaxing music or try a colouring book or other mindful activity. 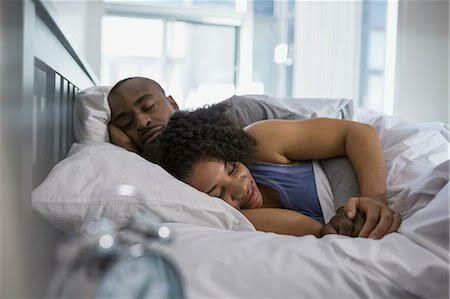 While you might not feel comfortable on a particular bed sleeping on one that’s too firm can create pressure in your hips, shoulders and lower back. Make sure your bed works for you by getting one from a company that allows you a trial period.